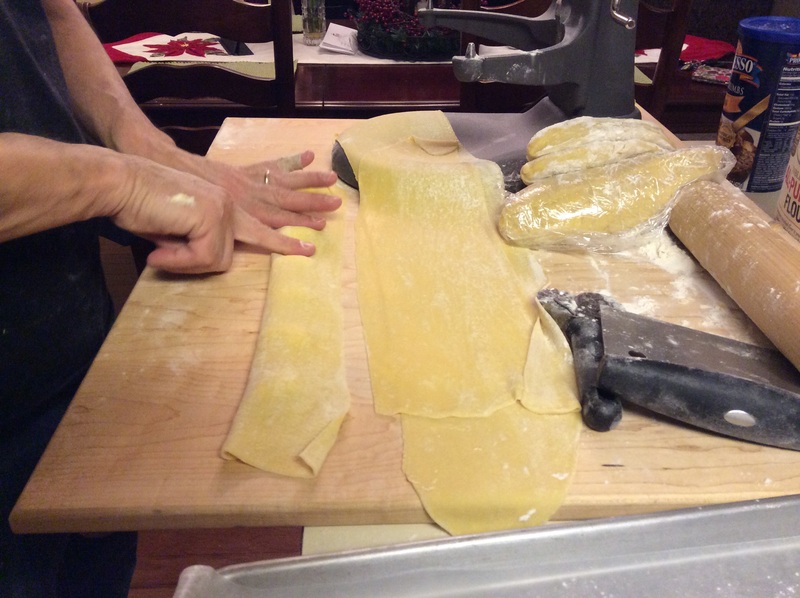 Homemade Ravioli | Let's Eat! One of my favorite types of pasta is ravioli. When I go to an Italian restaurant, I always ask if the pasta is made in-house and it’s usually the ravioli that is made fresh. 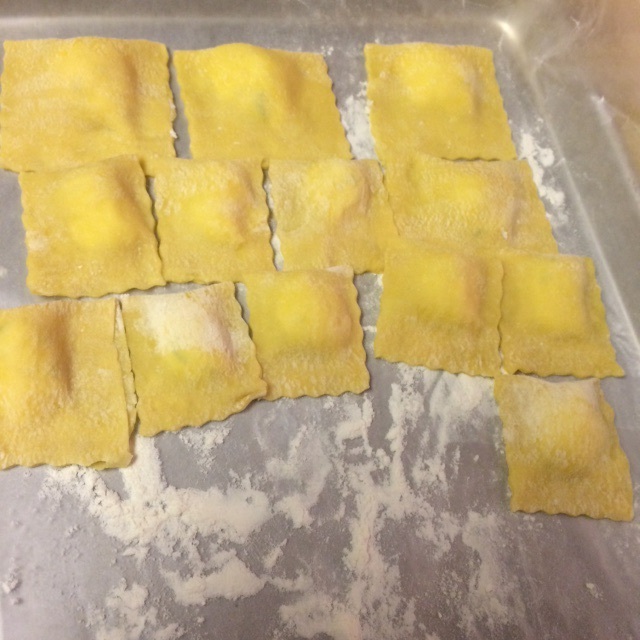 My favorite ravioli is cheese, but I’ve tried many over the years and never tasted a homemade ravioli I didn’t enjoy. You can stuff these with so many ingredients from sausage, mushrooms, beef, lobster or combinations of ingredients. I use ricotta cheese, Parmesan and mozzarella with seasonings and parsley. It’s simple but so delicious! 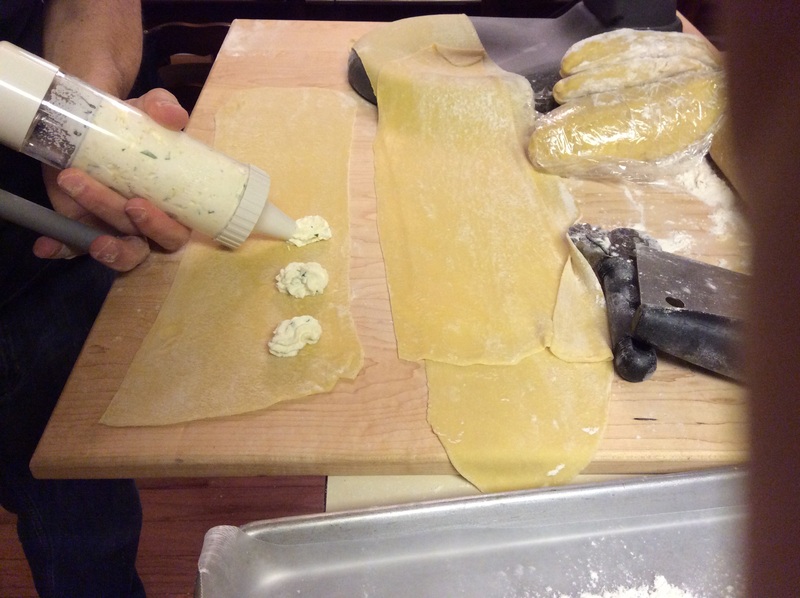 Roll the fresh pasta dough into thin sheets. I have an attachment for my mixer but rolling them by hand works fine too, just make sure to roll them thinly. If you can see your hand through the sheet (see below), it should be thin enough. I roll it on my kitchen aid to number 4. In a mixing bowl, combine Ricotta cheese, parmesan cheese, mozzarella cheese, egg, pepper, garlic powder, onion and chopped parsley. Lay one sheet of pasta on a flat surface and add about a one inch size dollop of cheese about every two inches as seen below. I’m using a pastry gun, but you could simply use a spoon. 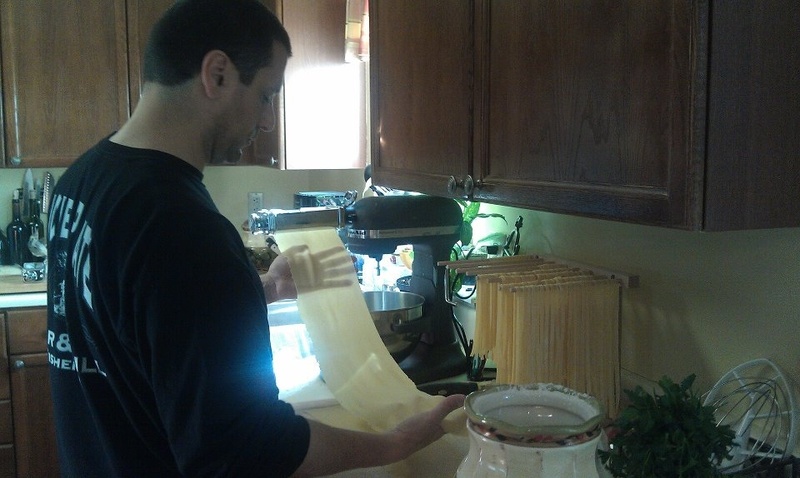 Fold the sheet so that the cheese is covered and press between each section of cheese to seal the ravioli. 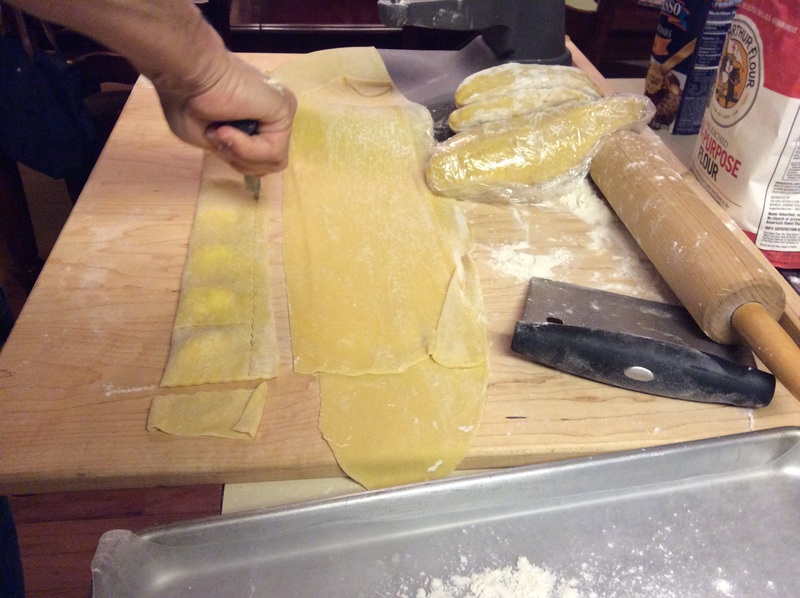 Cut lengthwise to trim to straight edge, then cut each Ravioli as seen below. You can drop these in boiling water immediately and cook until they float to the top (approximately 5-7 minutes) or freeze them and use them when you are ready. If you freeze them there is no need to thaw before cooking. Just drop them in boiling water, it may take a minute more for them to float. Add your favorite sauce and enjoy! 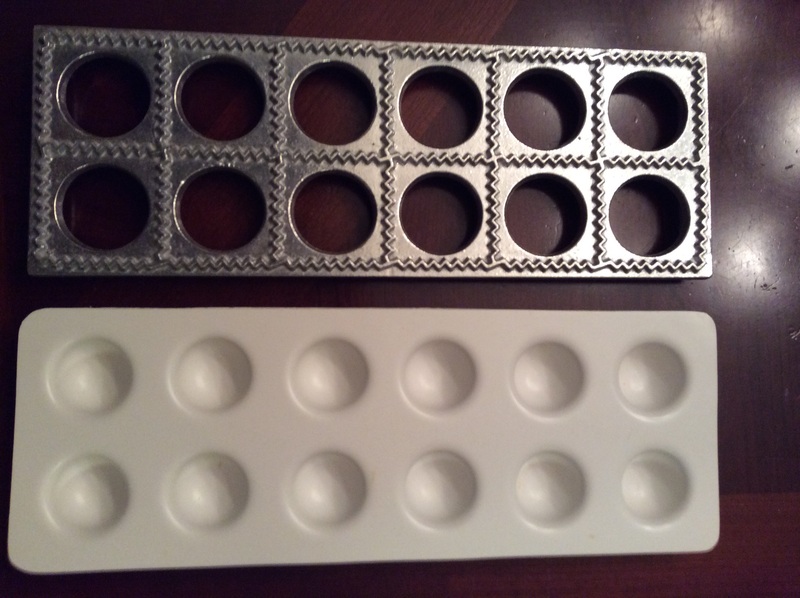 If you have a ravioli mold you can use it to form the ravioli, but I have found it just as easy to form them without it.